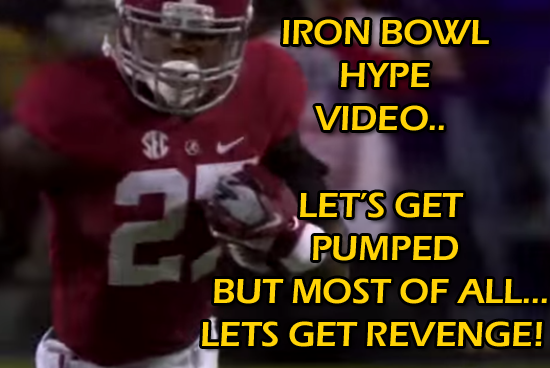 I don't know about you but I am pumped up for the Iron Bowl! I want revenge tonight so bad I can taste it! The luck has run out for the Auburn Tiggers! ROLL TIDE!